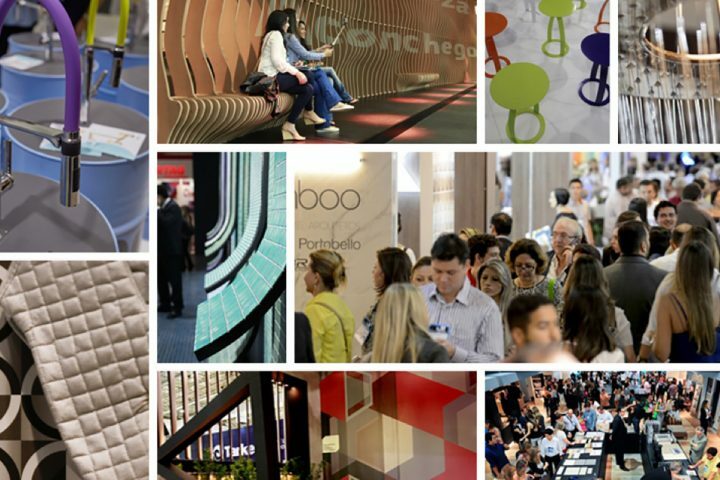 We are back from Expo Revestir 2019, in São Paulo, with a record number of visitors, clients and partners and the conclusion that the Brazilian ceramic sector is increasingly relying on innovative and sustainable technologies to protect its products. 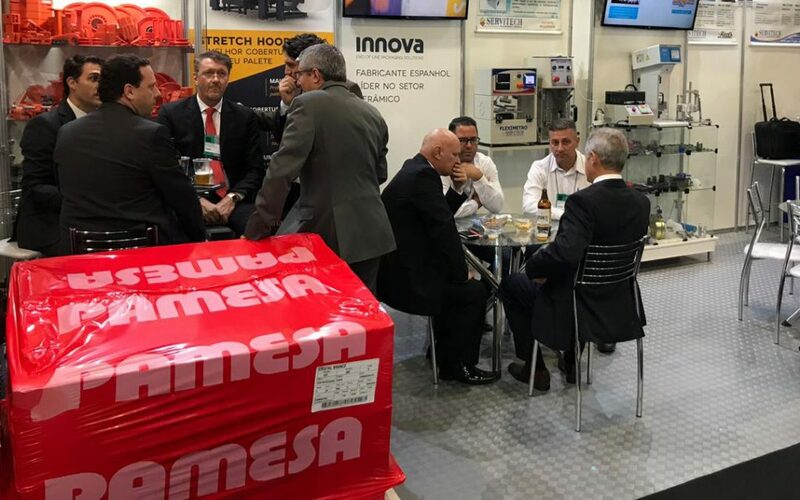 Visitors to Expo Revestir, the most important ceramic fair in Brazil, could see first hand the advantages of the Stretch Hood packaging system at the booth of Innova and its local partner Servitech. 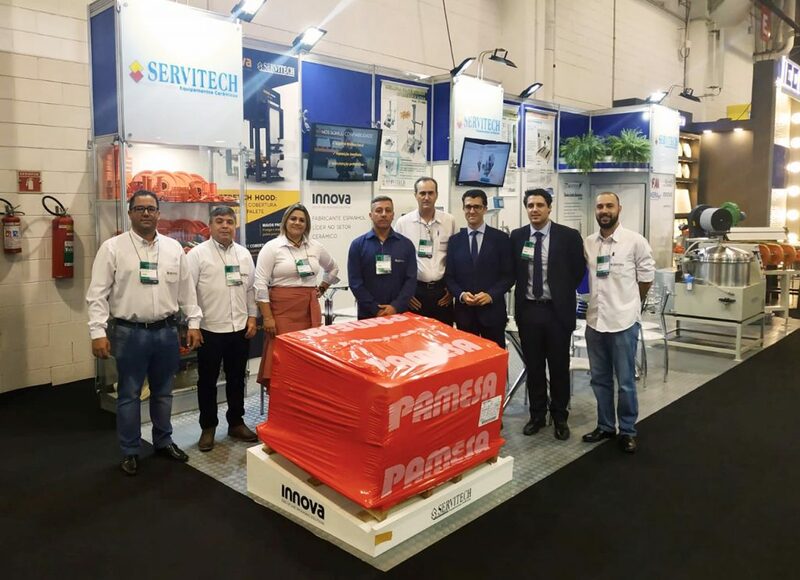 As a novelty, Innova showcased an example of Stretch Hood wrapping, with a pallet courtesy of our client Pamesa Do Brasil, which was very acclaimed among the visitors. 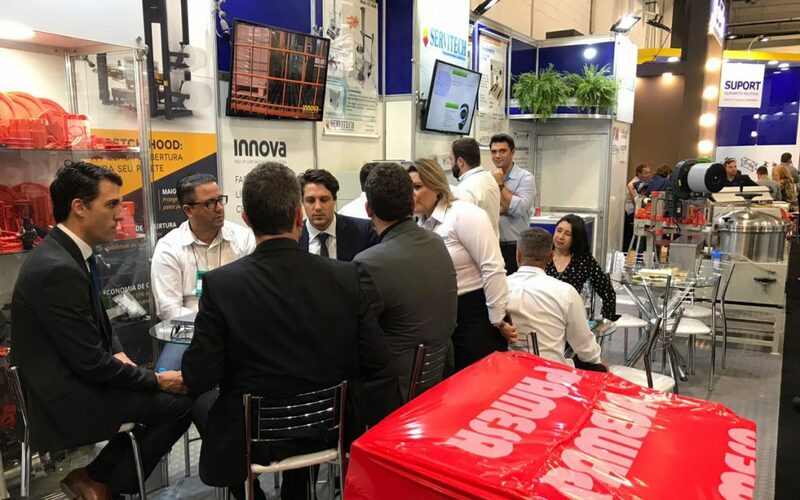 The Brazilian sector demands automated and efficient solutions for its end of line, as evidenced by the numerous queries received at the Innova and Servitech booth. The Stretch Hood system is already a well proven alternative and recognized by the ceramic sector for its protection, efficiency, savings, safety and quality of final packaging. 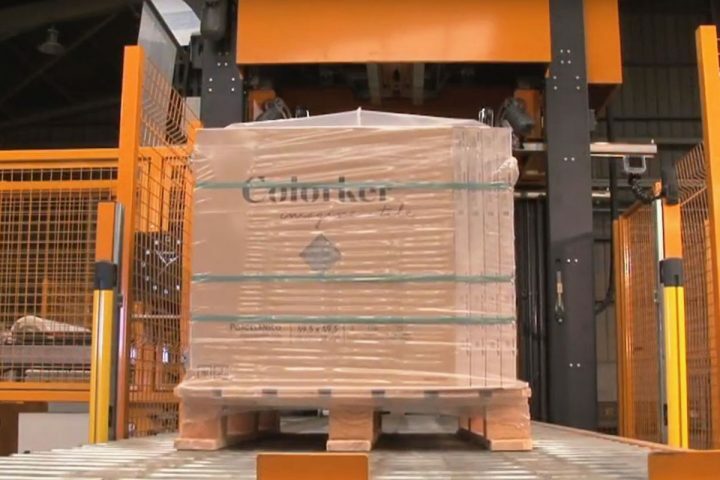 In fact, one of the main concerns of the Brazilian industry is to have a solution that offers greater automation and solves its problems of total product protection against external agents. In addition, visitors were very interested in the savings that can be achieved with Stretch Hood, of up to 50% less consumables than other similar systems. With this edition of Expo Revestir Innova consolidates even more its presence in the country, where it already has several clients from the ceramic sector. 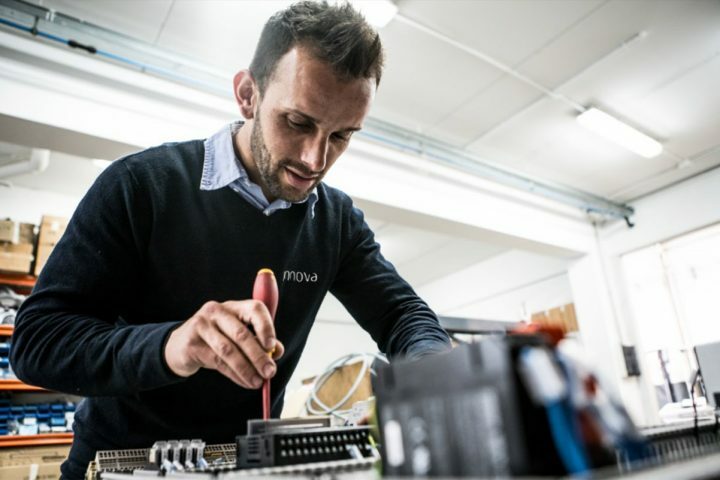 Together with its specialized partner Servitech, Innova not only markets its packaging machinery but also offers local technical support with spare parts and maintenance service. In fact, the combination of Innova’s technology and Servitech’s technical support service make both the ideal partner for its ceramic customers and other sectors. At Expo Revestir, Innova and Servitech jointly presented not only the benefits of Stretch Hood, but also their Support and Maintenance program in the country. This is a complete program of preventive maintenance, monitoring and remote incident diagnosis, spare parts stock in Brazil and prompt supply and repairs at the customer’s facilities. Servitech’s branches in the country also carry out technical consulting for packaging projects. One of the premises of Innova is the closeness with our customers, and an example of this is the trust and long-term relationship we have with customers such as Grupo Pamesa. For this reason, we were proud to exhibit at the fair a pallet of Pamesa Do Brasil wrapped with Stretch Hood from Innova. In addition to serving as an example of the type of wrapping, the product was exhibited with an inclination of 10º, in simulation of one of our InnovaLAB tests, to demonstrate the resistance and protection of Stretch Hood packaging to handle and transport the product. Visitors to the Innova and Servitech booth were able to see live both the quality of Stretch Hood and the possibilities for customization and brand promotion offered by Stretch Hood film. One of the work areas of Expo Revestir was that of Sustainability in the ceramic sector: From collections that are more respectful of the Environment, through the use of renewable energies to more sustainable machinery, among others. In this area, Innova has much to contribute to the country, as its packaging line is developed with more efficient technologies that reduce CO2 emissions. Innova’s Stretch Hood system allows for lower energy consumption and reduces the use of film by up to 50% compared to other solutions. Stretch Hood also avoids plastic waste, as it uses only the strictly necessary film for the wrapping, adapting to the load measurements. 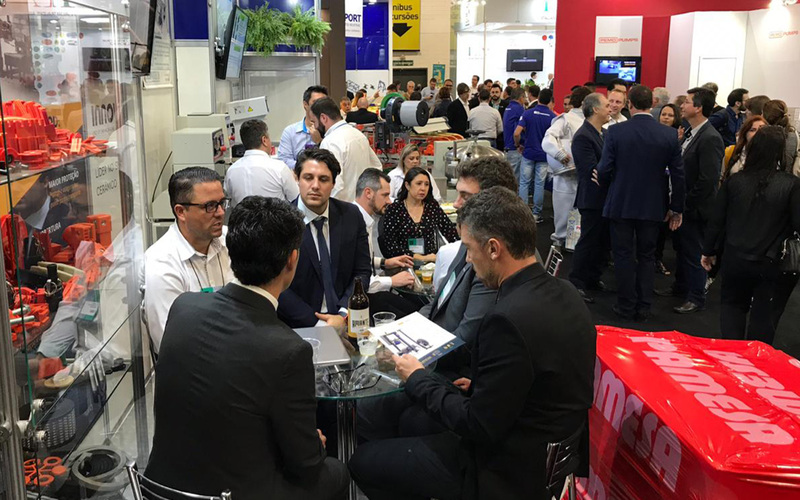 Definetely, Expo Revestir 2019 has been one of the best editions for Innova and the one in which we confirmed both our presence in Brazil and our relationship with partners and customers. See you at Expo Revestir 2020!